Welcome to another edition of Furuba Fridays, my weekly look at the brilliant Fruits Basket Radio Drama. Having set up the basic premise and introduced all the major characters in the previous two episodes (which you can listen to and read about here and here), we can now move forward into the development of these characters in Episode 3. While I've made minor nitpicks about the previous two episodes, I find it very hard to find any fault with Episode 3. As an episode it's got a little bit of everything, balancing the hyperactivity of Kyo with the more graceful style of Yuki and Tohru, and playing each scene at a nigh-on perfect pace and tone. There's also plenty of humour to balance out Tohru's incredibly sincere monologues - but we'll get to that a little big later. I've spoken in the past about the talents of Heather McDonald and Evan Bremer, who provide the voices for Tohru and Yuki respectively. Having been introduced to him in the previous episode, Cat and Mouse sees the character of Kyo come into his own. Phil Burgraff was one of the first people to be cast in the radio drama, and he does a brilliant job in capturing the abrasive, aggressive nature of the character while keeping him sympathetic and entertaining. And unlike the anime, it doesn't feel like the action grinds to an unnecessary halt whenever he goes into full-on shout mode. It's a very fine performance and you'll see how it develops in future episodes. 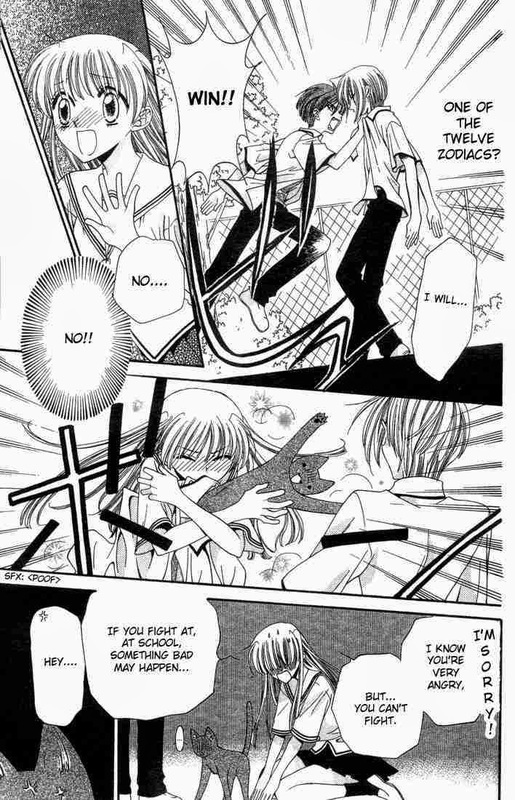 While transforming into an animal features prominently in any description of Furuba's premise, there aren't that many transformations in the story after the first couple of volumes. Hence it's worth taking the time now to praise JesuOtaku's rendering of them, particularly in regard to Kyo's transformation in this episode. The sound effects are fun but appropriate, and the animal noises involved are very convincing; you'll hear a little more about them in the interview with Heather and Evan, which I'll post up in a fortnight's time. There's a couple of other brief things I'd like to point out with this episode. Firstly, it does really well in consolidating the high school setting in which the characters spend a lot of their time. Not only are the main characters given natural-sounding dialogue, in the spirit of the manga, but JO puts a lot of effort into the moments where multiple characters are talking over each other, as would happen when someone new would be starting. JO actually makes an appearance here as Minami, whom we talked a little bit about last week. She's standing in for the original actor Kyle Tinga, but it's so well-mixed that you'd never know the difference. Secondly, this episode really makes me laugh. There's a really great gag involving Tohru towards the end, which I won't spoil save to say that it is indicative of the high quality foley art provided for this drama. Shigure also has his moments throughout this episode, with Jesse Frola (Demoversi) turning on the pervy charm during the final scenes especially. In short, this episode will put a huge smile on your face - and considering some of the darker stuff that's to come, that's something to be cherished. Here then is Episode 3 for your enjoyment. Don't forget to download your mp3 copy of Episode 2 below this video, and come back next week for another Furuba Friday! P.S. Yes, I know this edition is coming out on the Saturday. I've been busy with A Man For All Seasons. Next week's will be on time, I promise.